Sounds like an easy decision to drive on winter tires from December through April, but according to the Rubber Association of Canada (RAC), only 51 percent of Canadian motorists use winter tires. The reason for this is undoubtedly cost, but considering that riding on winter tires reduces the wear and tear on all-season or summer tires, long-term cost is not a factor. Plus, how much is it worth to potentially avoid an accident? 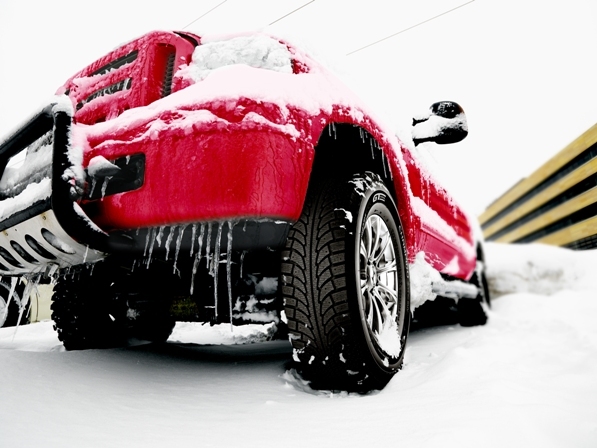 Even a fender bender is likely to cost more than a set of winter tires. Lou Monico of GITI Tire Canada, which markets and sells GT Radial tires across the country, says many motorists are probably not aware that today’s high-tech winter tires deliver better grip in all cold weather conditions, even dry pavement, because of significant technology advances in tire tread compounds. When buying winter tires, motorists should look for the mountain snowflake symbol on the sidewall, which means the tire meets or exceeds tire industry snow traction requirements. Winter tires have become so advanced that there are now tires that specialize in the snow or ice. These tires perform well in both conditions, but are designed to be dominant in either snow or ice. Monico says, the first step is to determine the driver's needs. Is the driving mostly on the highway, in the city, or in the country? Does the region typically get more ice or heavy drier snow? Ice tires, such as the GT Radial Champiro IcePro, have a tread design made up of blocks set very close together with many tiny incisions, or sipes, in the blocks to help wick away the water that can form on top of icy roads. In addition, the tread on ice tires usually contains a higher percentage of silica in the compound to help keep the rubber flexible in very cold temperatures. The GT Radial Champiro IcePro can also be studded which provides even more biting edges but can be noisier when traveling on dry roads. The tread on snow tires, such as the GT Radial WinterPro, is made up of blocks set further apart in order to ensure better grip in the snow. If most of the driving is in a city that regularly plows its roads and the driver is less likely to encounter icy roads, then a snow tire is likely the best bet. Headquartered in Surrey, British Columbia, GITI Tire Canada is the sales and marketing office in Canada for GITI Tire Company, Ltd., which manufactures and sells high quality GT Radial brand tires for passenger, SUV, light truck, truck, bus, and high performance vehicles. GT Radial tires are sold through distributors, independent dealers and retailers in North America. For more information, visit www.gtradial.com. * Tire inflation pressure can drop quickly during cold spells. Every five degrees Celsius change results in about one psi change in pressure. Tires that are under- or over-inflated have a smaller footprint on the road surface – definitely not good when dealing with wintry conditions. * Check air inflation regularly during the winter and adjust it to the psi amount recommended by the vehicle manufacturer (this can be found on the door jam or in the vehicle owner’s manual). * Do not just install two winter tires! All of the tires (whether that be four or six) should be matching winter tires during the winter season; this is true whether it is a rear-wheel, front-wheel, four-wheel, or all-wheel-drive vehicle. Winter tires provide so much better traction in wintry conditions than all-season or summer tires; if a person only pust them on one end of the vehicle, one end of the car will be sticking to the road while the other one is sliding.